Add the Jeep Rubicon decal to your 2007 to 2015 JK Wrangler to create a custom, attention-grabbing look that you'll love. These individually sold decals each measure 20.5 inches by 1.5 inches, and they're designed to attach to the slope of your hood, just above your fenders. 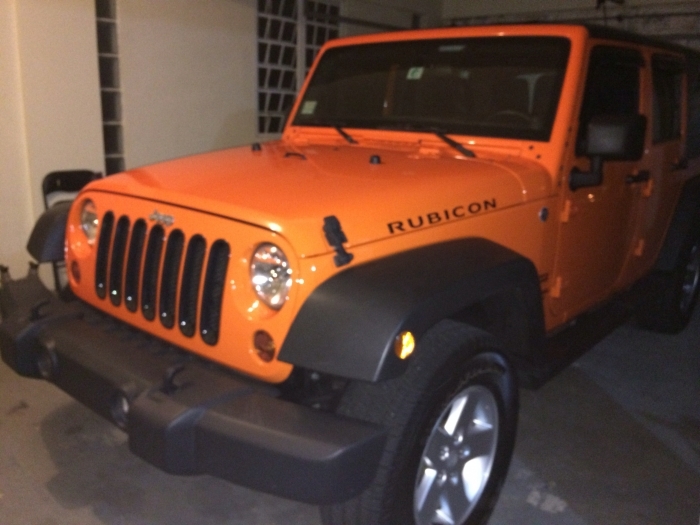 These Rubicon stickers are available in black or silver, so choosing the perfect match for your Jeep is easy. Available in black or silver. Please select color above. I ordered the silver rubicon decal to replace the factory one on my jeep that had started to peel. This was an exact oem replacement and matches the other (factory side) perfect. Keep in mind when ordering you are only buying one decal for the list price. Great quality and highly recommend! Letters stuck a little on backing.